NREM lab students conduct a fall prairie burn that will favor forbs over grasses. The 2017 Iowa Aquaculture Conference was a well-attended event with many people interested in all manners of fish farming. Around 250 people attended the event. The 2017 Iowa Aquaculture Conference is being co-sponsored by Coalition to Support Iowa’s Farmers, Iowa State University and the North Central Aquaculture Center (NCRAC). VISIONS magazine featured an article about our French Montana Camp (pdf) in their latest issue. 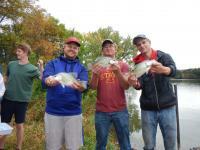 This fall, NREM juniors and seniors in the AECL 333 Fisheries Techniques class learned about and got hands-on experience using different gears to sample fish. Happy Halloween! 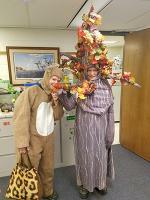 Pictured are two members of the department dressed as a tree and bunny rabbit. 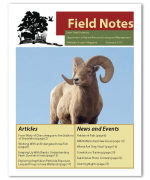 Ann Russell article is featured in recent Ecological Monographs publication! 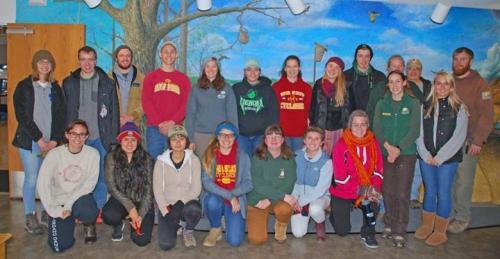 The STRIPS project is very much a collaborative effort that includes Iowa farmers and landowners, ISU extension and research faculty hat has developed a sustainable soil/water conservation practice that provides numerous benefits to Iowa’s environment. Congratulations to Dr. Michael Weber on being named Iowa State University Harmon Family Professor in Forestry! Rosemary Galdamez, an incoming senior at North High School in Des Moines, Iowa, is one of 19 George Washington Carver Summer Research Internship Program interns this year. 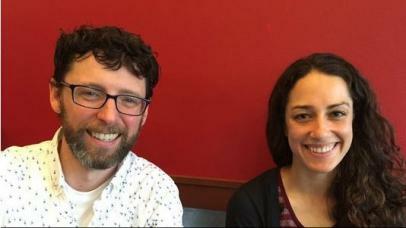 The outstanding NREM/ENT BioIogy IT team has done it again! We're getting ready for the 65th Midwestern Conclave coming up soon - April 1st! 2017 Field Notes is online! The 2017 Edition of Field Notes is now available! Congratulations to Miranda Furrer for being CALS Career Services Young Alum of the Month! Miranda graduated in 2013 with a B.S. in Animal Ecology. 2006 Animal Ecology Alumni, Michael Miller saved a fisherman's life in Clarke County, Iowa last weekend. Michael now works as a Conservation Officer for the Iowa Department of Natural Resources. 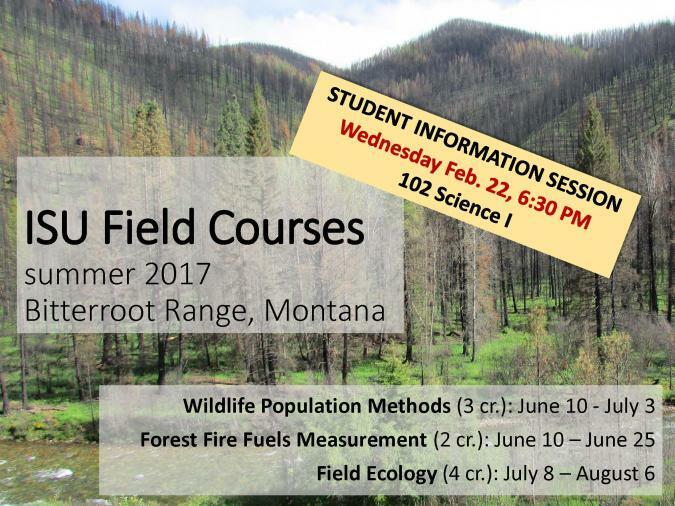 ISU Field Courses are being offered THIS SUMMER in Montana!